Having gone through the heartbreaking experience of three miscarriages (A baby boy at 15 weeks and two twin pregnancies at 9 weeks), I wanted to create something for other women experiencing this type of grief and loss. At any stage of pregnancy, we have already become parents. We have fallen deeply in love with our unborn child. We have experienced hopes and dreams and ideas about what this baby will be like, how our lives will change, and the future we see for ourselves as a family. It is a grief that we struggle to find peace with everyday. It is a loss that many people do not talk about, but so many experience. 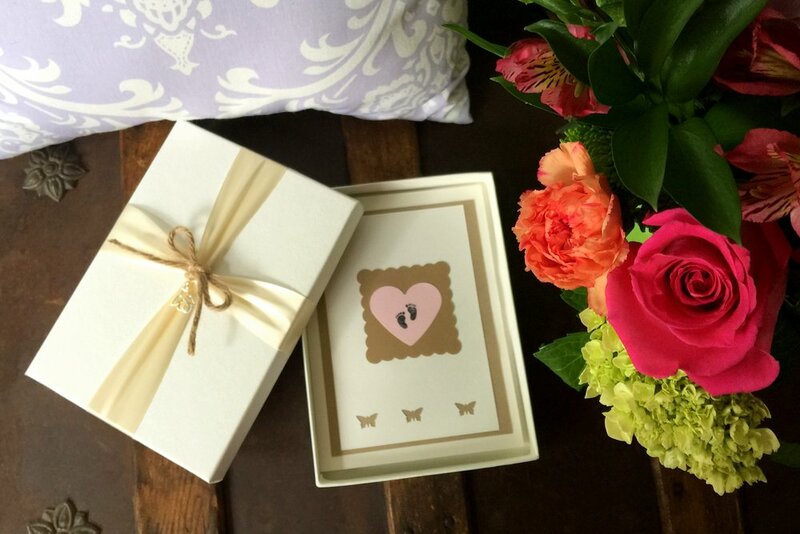 In order to help those supporting a loved one who is experiencing grief after the loss of their baby, I’ve created a gift that can be given to the woman or the parents of the unborn child. If you do not know what to say, this gift will provide the acknowledgement of the loss while also providing something for them to hold on to. The Angel Baby Keepsake can be purchased on my Etsy shop. The cards have a beautiful print quality - 5x5 inch flat cards and envelope. Cards can be purchased on my Etsy shop. 12x12 inch photograph printed on canvas. Honoring the love you have for your baby or child. "you are a part of me like the salt is with with sea"